The stone chop Rohnfried Lecker-Stein is a source of minerals essential for the pigeons and indispensable at all times of the year. In addition, Lecker-Stein is enriched with Iodine and Magnesium, which makes this product one of the best in the market. 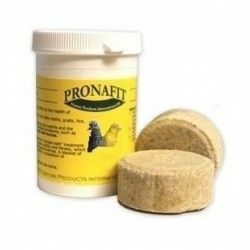 - Iodine is a excelnte preventive natural against bacterial infections, such as salmonella and e-Coli. - Magnesium is essential during the season of contests as it encourages and accelerates the recovery after exertion. And now, you get 2 blocks for free! - Box of 12 blocks. Due to the nature and composition of this product, during transport, it is possible that the blocks arrive to crumble partially. Despite this, the product is perfectly valid and functional; you simply must put it in a small container for free disposition of doves. Please take note of this warning at the time of purchasing the product because we do not accept returns of the same. Description: New Lecker-Stein of Rohnfried, (10+2 free), 6 kg of stone chipping enriched with iodine and magnesium. 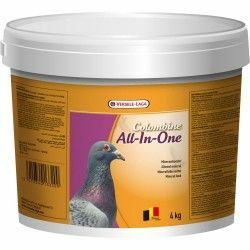 For pigeons The stone chop Rohnfried Lecker-Stein is a source of minerals essential for the pigeons and indispensable at all times of the year. 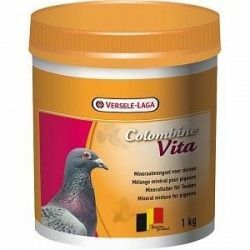 Versele-Laga Colombine All-in-one is a complete and balanced combination of minerals for pigeons. Minerals and vitamins are basic to promote the f unction of metabolic doves, as well as to promote the muscle function and the bones.